Several university departments are joining forces for a workshop that will provide expert advice to faculty in the humanities and social sciences on how to promote their research. The event takes place from 3:00-5:30 p.m. on Friday, June 3, in the Knight Library Browsing Room on the University of Oregon campus. It is being staged by the Center for the Study of Women in Society’s Americas Research Interest Group, the Center for Latino/a and Latin Studies, the Department of Political Science and the College of Arts and Sciences. 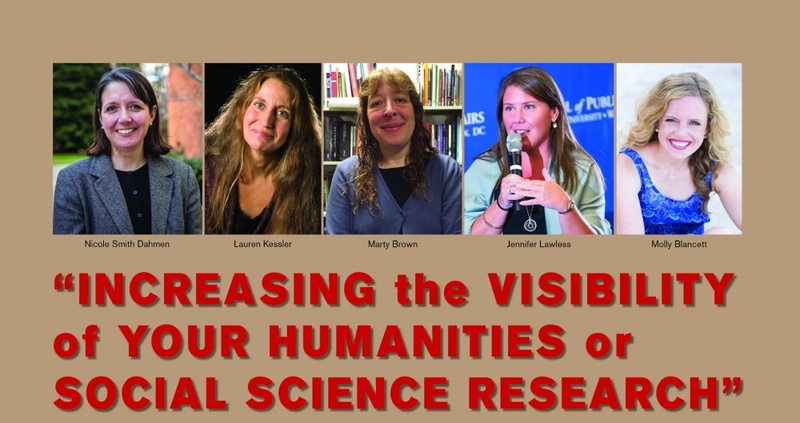 Panelists will show faculty how to increase the visibility of their humanities and social science work among academic and non-academic audiences. The panel includes: Nicole Smith Dahmen, assistant professor in the School of Journalism and Communication; Lauren Kessler, professor in the journalism school; Marty Brown, marketing manager at Oregon State University Press; Jennifer Lawless, professor of government at American University; and Molly Blancett, media relations manager in University Communications at the UO. The panel will discuss several topics, including how to promote books, create professional networks and promote work using traditional and social media.